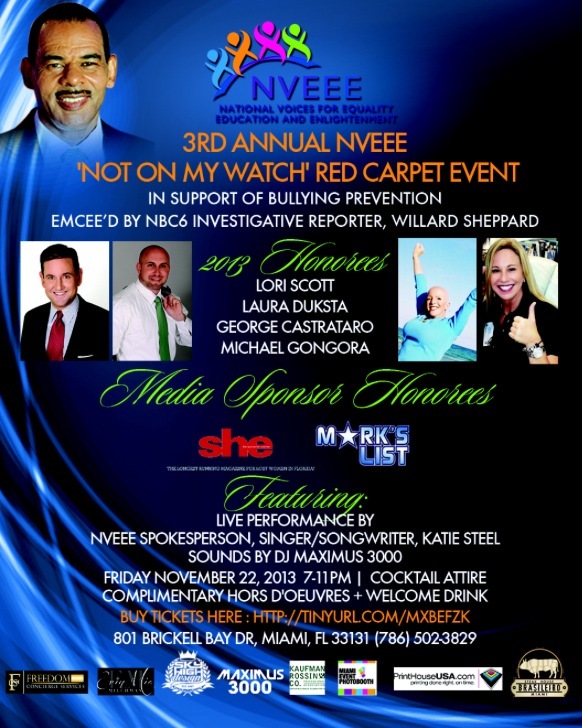 NVEEE’s 3rd Annual “Not On My Watch” Anti-Bullying Red-Carpet Reception – I am. Are you? AND TIME TO CELEBRATE MY BIRTHDAY!! Please come out and celebrate my BIRTHDAY with NVEEE!! You all know how near and dear to my heart NVEEE is, since our founding so many years ago. Can’t make it? Please consider a donation!!! I expect EVERYONE to jump in the photo booth DONATED by Style Fusion and take some crazy pics! COME CELEBRATE FOR A GREAT CAUSE!! !